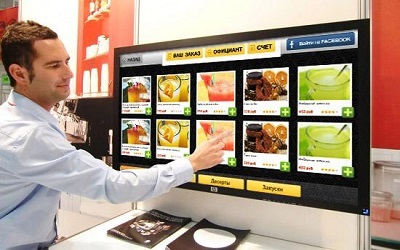 Fine dining and quick service restaurants (QSR) both benefit from touch displays, whether those displays are for employees or customers. Employees are likely to use a touch-enabled, point-of-sale (POS) system while customers might interact with some sort of touch or digital display. Those are two obvious applications of touch technology within the restaurant industry, but they aren’t the only ones. For instance, an interactive digital sign might allow a customer to view nutritional information as well as to order a meal. Another sign might allow customers to “flip” through current specials. Other signage might integrate with social networks such as Facebook or foursquare. POS systems facilitate purchases for both the employee and the customer. They also can be used to track free and occupied tables. Many of TouchSystems’ displays feature Rapid Response technology, ensuring that information is up-to-date at all times.